Here's the most contrarian thing you'll read all day: Chris Packham, a BBC wildlife expert, suggests that giant pandas should be allowed to shuffle off their adorable mortal coil and go extinct. Seriously. After all, he argues, we're spending millions of dollars trying to persuade them to breed in captivity, but the stark reality is that pandas aren't a hardy species—they've "gone down an evolutionary cul-de-sac"—and perhaps those millions would be better spent on other, less futile, conservation projects. Well, that's wretched, although there are maybe a few grains of validity here. It's true that our efforts to save endangered species tend to place too much emphasis on charismatic megafauna like pandas and bald eagles and sea turtles, while homelier strains of beetle or mussel get little love, even if they're often more crucial to their broader habitats. On the other hand, conservation isn't purely a zero-sum game. The panda's spectacularly cute and incredibly popular, and it's not like the World Wildlife Federation could fund-raise just as much money with pleas to save the pink-tailed worm lizard. (Plus, as Jen Phillips points out, the panda brand provides a lot of economic value to China.) Is it really so wrong that we're not icily rational about this issue? Packham does make one fair point, though. 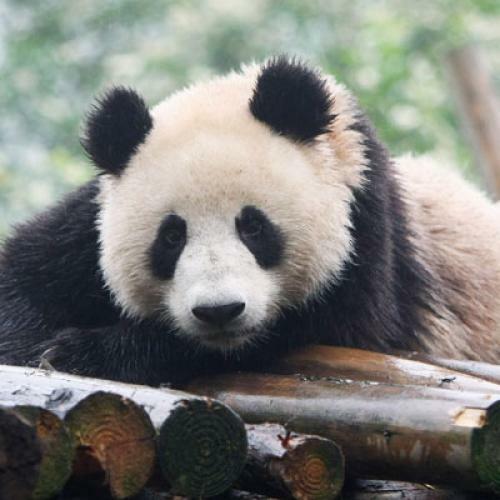 The WWF has, over the years, been breeding giant pandas in captivity to boost their numbers, but, in the meantime, the panda's bamboo-rich habitat in China has been razed by logging and mining. That means there are fewer places to release them back into the wild. In hindsight, it might've been wiser for conservationists to buy up and protect all that land, rather than focus just on the species. As it happens, the Obama administration is pondering a similar shift in the U.S. government's endangered-species approach: listing dozens of species in an ecosystem at once and then protecting the whole area, rather than just focusing on a few plants and animals in isolation.